11. Knowing who is on the phone. 22. Thinking of someone and then running into them shortly afterward. 33. Getting a sense that something mechanical needs attention. 44. Sensing someone you know is having a problem. 55. Feeling someone that has passed is around you or thoughts of them suddenly pop into your head. 66. Your dreams become more vivid or symbolic. 77. Becoming more sensitive to energy. 88. Loud noises seem magnified or chaotic. On a day-to-day basis, we constantly receive information through our intuition or psychic (psi) abilities, much of it very practical. Because it seems mundane or even routine, we often dismiss it as a passing thought or worry, when it can very well be a sign that your intuitive senses are awakening. 1. Knowing who is on the phone. If this happens to you, it indicates an innate psychic ability. Be open to this information by trying to predict who is calling, which will improve your gift even more. Called, telephone telepathy, you can sign up online to practice with your friends! 2. Thinking of someone and then running into them shortly afterward. This is an excellent example of precognitive abilities! You’re in great company as quite a few famous people have had precognitive dreams or visions. To practice this ability, start by taking just a minute to envision who or what you might run into that day first thing in the morning. For example, if you’re going to the doctor’s office, focus on a clear vision of the office, driving or walking to it, etc., and anyone you might see on the way or anything you might encounter. As a bonus, this exercise will also increase your remote viewing ability! 3. Getting a sense that something mechanical needs attention. This happens to me quite often. I suddenly get a sense that I might get a flat tire. When I get out of the car in the parking lot and walk away, something catches my attention – a sharp object right in front of my front tires. Or perhaps you suddenly think about the last time your car broke down. Instead of shrugging it off, find someone to take a look at your car and make sure it is in good working condition. Each time I’ve had a random thought like this, it has turned out to be true! 4. Sensing someone you know is having a problem. Empaths are particularly great at this one! Do you sometimes feel that you need to call your mother? A friend? Pay attention to that feeling or calling – this is your intuition guiding you. As you start to respond to these feelings, they will grow stronger, which is a great way to improve your empathic abilities! 5. Feeling someone that has passed is around you or thoughts of them suddenly pop into your head. This is a form of mediumship or spirit communication, which is a very highly developed psychic ability. When this happens to you focus on that person and ask them questions, either in your head or out loud. Then be open to an answer, which can be words that you hear or perhaps an image you see in your head. Not only could you potentially communicate with them and get some much-needed advice, you might realize that your psychic abilities are much better than you thought! 6. Your dreams become more vivid or symbolic. Dreams are where many of us first find out that we have innate psychic abilities. A change in the vividness or amount of symbolism in your dreams indicates that your abilities are awakening. Symbolism to look for includes dreams of butterflies, snakes, shapeshifting, birth or hatching eggs, which all point to change and transformation. 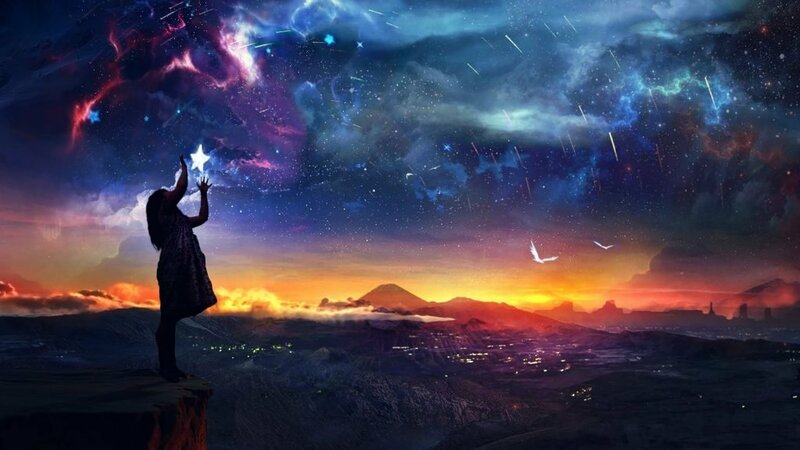 There are a number of ways to induce lucid dreams that you might want to try! Check: Lucid Dreaming: Here Are The Techniques To Live This Incredible Experience. 7. Becoming more sensitive to energy. Even if you are not highly sensitive to energy, you may sense the emotion in a room you enter just after someone has had an intense argument there, or may feel that a home has a positive or negative “vibe” to it. Sensing energy can start out in that manner. You can improve your ability to sense energy by stopping when you have those feelings and exploring them in your mind. Try to sense or envision what happened there in your mind. Once you’ve done that, you might ask others that were present what happened (Did I miss something?) or check-in with a friend that is with you to see if they sense it, as well. 8. Loud noises seem magnified or chaotic. Often, when we are opening our awareness, our senses become more heightened. Sounds, smells, others’ emotions may all seem more pronounced, louder, or even painful to us. If you notice this phenomena, then you are definitely become more aware. Practice creating boundaries to shield yourself, such as envisioning a mirrored ball surrounding you or a coat of armor protecting you, to prevent energy overload! Have you had these experiences? What are you doing to enhance your abilities? Please share your thoughts with us in the comment area below! Author: Dr. Carol Pollio is the Director of Intuitive Investigations®, a paranormal investigation and earthbound spirit rescue organization. After a successful career as a Chief Scientist in a federal land management agency and having honorably served 31 years in the military, Dr. Pollio is now focusing on the field of parapsychology, blending her knowledge of scientific principles with her intuitive abilities and psychic mediumship skills. She is also a certified Parapsychological Field Investigator with the Office of Paranormal Investigations and an Elemental Space Clearing® Practitioner. Interesting site here I stumbled upon as I have been longseeking and building upon certian principle knowledge which has greatly affected my understanding of our spirtual metaphysical mystery world. It turns depression into excitement and here’s why. As a 7 yr old I was raped by an occultic group of catholic jesuit along with a group of sinisters (nuns). It profoundly affected my entire life. I only recently uncovered the event. I dreamed it in nightmares for 50 years. Only thru much soul searching did I discover that. They programed me for destruction. I agree with you Ona Nee. Trauma can be the springboard for the Shamans walk. I have all kinds of precogs many saved my life. I have experienced major disasters in my sleep only to wake up and find The world trade towers collapsing. In my dream I jumped out from the fear and heat woke up and turned the radio on to hear of people jumping from the building. I saw Bobby Kennedy killed 3 days before it happened like I was the camera. I was abducted from my military unit for mind control experimentation. I have no doubt I am tracked as are many souls of interest to our natural enemies. The self serving Powers that we dont need taking our wealth and using it to destroy the planet and causing people to become chasers of material wealth to thier own early unfulfilled grave. Confusion abounds all around and most prefer to remain ignorant in a make believe cacoon of media entrainment and when it comes to TV the evil ones use the power of acessing the subconcious mind in a host of ways. Its all garbage thats why the remote control is like our power to ignore the truth.